Although the benefits of a massage can satisfy both your physical and emotional needs, it can be a bit frustrating when you feel the tension returns the moment you step out of the massage room. Just like what you do before the massage what you do after is also very important. As a matter of fact, it’s even more important than getting the massage itself. Here are some of the things to avoid doing after massage. · Do not run a marathon- After a massage, you need to avoid any strain on your body or muscles. Although you may feel like you can run a marathon or move mountains, this is not true since your muscles have just received a workout. Your massage therapist has just spent the last hour pulling, stripping, and lengthening your muscle. If you go for a marathon, you may increase the risk of destroying your muscles especially after they’ve been pulled. Allow yourself at least 24 hours to heal. · Avoid jumping off the table- At the end of the session, the therapist will go out and it will be time for you to be alone again. Make sure you get out slowly off the table. Remember, it’s quite normal to feel a bit dizzy after the massage therapy. If you do not take your time to get off the table, experiencing an injury is quite normal. By getting out slowly, you will allow your blood flow to readjust. If you feel you need some time, ask your massage therapist for a place where you can relax. · Avoid stress or any strenuous activity- Try as much as you can to avoid stress or any stressful situation before. If you know you will feel stressed when you talk to someone then try to avoid this. Just don’t talk to someone right after the massage and take it easy after a massage. · Avoid taking alcohol- Massage normally releases impurities or toxins that are in the muscles. Instead of taking beer you need to increase your water intake. Increasing your water will not only help you flush out the impurities but also hydrate your muscles. You also need to avoid drinking tea, coffee, or eating anything that contains caffeine. Caffeine or alcohol has a diuretic effect on the body hence can increase your body’s need for water. · Do not go veg- You should not go veg at least immediately. Doing a massage therapy is just like going for workout especially if you are concentrating on deep tissue massage. Just like going for an exercise, if you do not cool down well you are likely to experience post-massage soreness. It’s advisable to go for a short walk preferably without carrying anything that might heavy. This will keep your muscles from tightening and also help improve the flow of blood in your body. · Do not forget your therapist’s name- Massages normally works best when done repeatedly. This means the more you go for massages the more you will feel the effects. It’s, therefore, important to schedule your next massage before you leave. There is nothing bad about having too much massages. While some people receive monthly massages others prefer weekly ones. Just listen to what your body tells you and do exactly that. 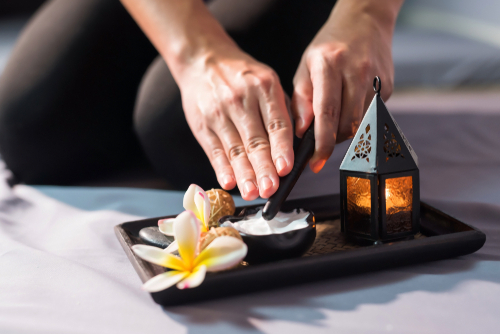 · Do not apologize if you fell asleep during the massage- When you fall asleep during the massage, it means that you were relaxed and comfortable during the session. Most therapists, therefore, take it as a compliment when you fell asleep whether it’s true or you just faked it. Please don’t say that you fell asleep because you were completely tired. · Do not feel emotional- Sometimes if you are a bit stressed up you may feel the need to cry after the session. Alternatively, you may feel cloud nine or even elated. Whatever response that you feel is just normal. You should not try to suppress your emotions. The massage that you’ve gotten may channel these feelings and even double them whichever way. Remember that this is what your body needs. Just allow them to express themselves and you’ll come out feeling much better. · Avoid smoking- If you are a smoker make sure you don’t smoke a lot after the massage. Since massaging usually helps your body to release toxins that have accumulated in your body you need to avoid adding more toxins to your body. If you smoke immediately after going through the process you may not be able to achieve your goals. Since the odor is coming out of your nose, it’s likely to remain with you much longer after the session has ended. · Just don’t sleep- The massage session will be so comfortable and relaxing that the next thing you would want to do is to get into the bed and start sleeping. Believe it or not but this might be the worst thing that you can ever do after a massage. If you want to get the best results then you need to resist this temptation. After the massage, try to be active. It’s no surprise that your massage parlor has facilities for yoga and weight training. Working out will not only leave you energized throughout the day but will also help you get into better shape. · Avoid eating a heavy meal- Immediately after a massage, your body is very busy with your tissue recovery. It’s therefore, very important to avoid eating a heavy meal. You just need to eat well with healthy foods such as salads, soups, vegetables, and proteins. There you have it some of the things to avoid doing after a massage. Apart from exercising lightly, you need to try as much as possible to avoid caffeine and alcohol. Since massage releases impurities or toxins from your body the last thing that you would want to do is to add more toxins in the process. Because your health is much more important, your night out can always wait. If you can follow this information and avoid doing some of these things then your massage session experience can last much longer after the therapist has left the room. Remember, an hour in massage parlor should be worth every money that you spend.